When Elton John is happy, the whole world is happy. Or, at least, I’ll always be happy when he's happy, mostly because of The Lion King, and the fact that he's a celebrated artist for other hits and stuff. Which brings me to my point: What reason, other than achieving legendary musician status, does John have to be ecstatic about? 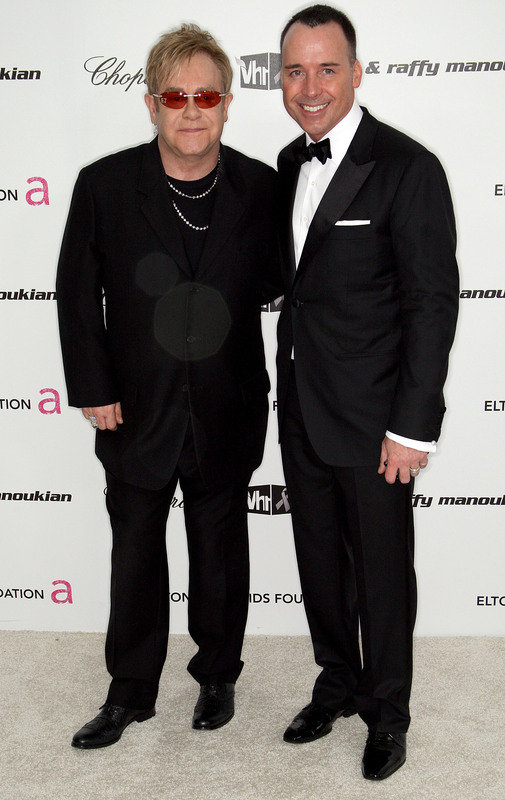 According to reports, apparently Elton John and his longtime partner, David Furnish, are getting married this upcoming May. Hurray! Although John and Furnish celebrated their partnership with a $2 million reception (damn, the fabulous lives of the rich and famous or what? ), Furnish has said they’re likely to keep their marriage on the down low, and are planning to tie the knot at a registry office with their two sons, Zachary and Elijah, and a few witnesses.